Summer is coming! 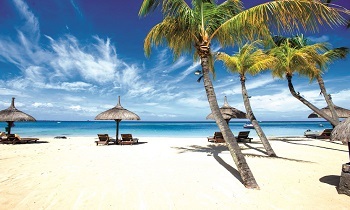 It is the best time for traveling the beach or island. 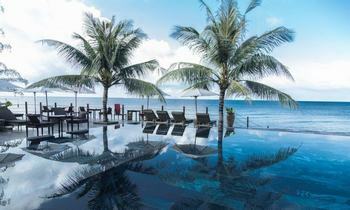 So, you are concerning between Phu Quoc island or Bali for your trip. Click out the page to know the best answer! Phu Quoc is blessed with many beautiful beaches including Bai Dai, Bai Sao, Bai Truong, Bai Khem, Bai Ong Lang, Ganh Dau Beach or Bai Vong. Many beaches here are on the list of the most beautiful beaches in the world. 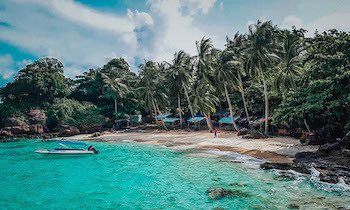 A special feature that makes beaches in Phu Quoc particularly attractive to visitors is that most still retain the pristine beauty with clear blue sea, smooth white sandy beaches which stretch to the depths of dozens of trees. 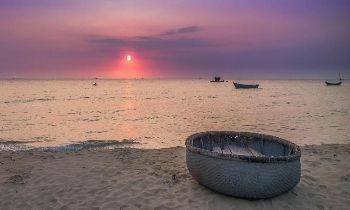 All bring to visitors the feeling of a golden sun paradise full of the poetic sea when traveling to Phu Quoc. You can rent a motorbike to go around discover all the outstanding wild features of the sea here. Furthermore, you can enjoy a little breeze blowing in the sea and the peace in the southernmost island waters. 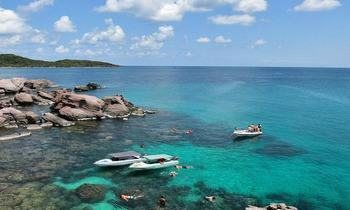 Therefore, there are a lot of tourists choosing Phu Quoc day tour for enjoying beautiful beaches there. 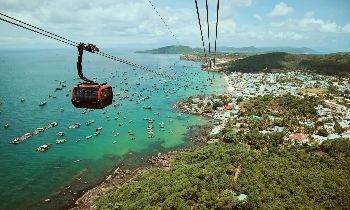 The people of Phu Quoc island district are very gentle, peaceful and hospitable and the life here is not too noisy and bustling like many other sea resorts. 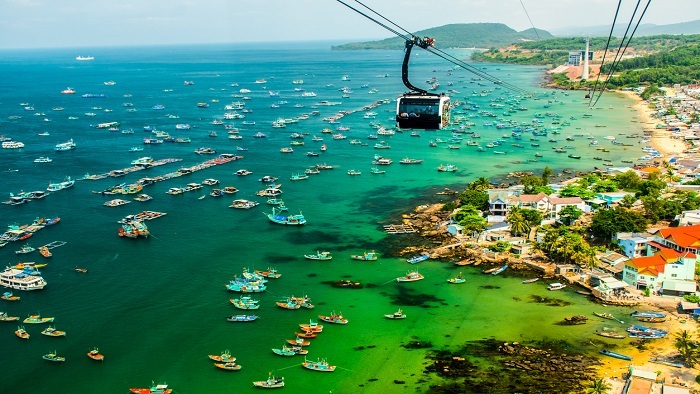 You can comfortably visit the famous fishing villages such as Ham Ninh ancient fishing village, about 20 km from Duong Dong town in the east of the island. It gives visitors a sense of nostalgia to the old village with temporary bamboo-walled cottages. In addition, when visiting Ham Ninh village, tourists will have a chance to hear interesting and wonderful stories about how to catch sea cucumbers, dive for pearls or catch crabs from local people. At the same time, you can enjoy the crab boiled with delicious salt and lemon pepper. The fishermen here are simple, gentle and hospitable. In addition, you can visit the barrel of old fish sauce, and enjoy the delicious fish sauce. 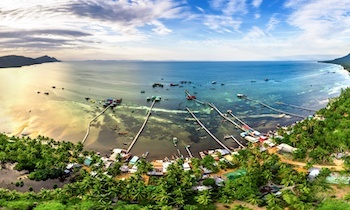 You don’t forget to visit the green pepper gardens or board the boat with local fishermen go fishing, squid fishing at night in the tour of Phu Quoc. 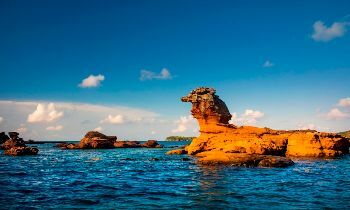 When visiting Phu Quoc day trips, you are comfortable to experience and explore this pristine and poetic island. There are many destinations that promise to bring you exciting inspiration during your journey. You can set up your own trip so you can fully appreciate the culture, history or daily life of people here. You can rent a motorbike to explore Phu Quoc national park and walk on the white sandy beaches. Immerse yourself in the cool spring water streams of Suoi Tranh, Suoi Da Ban or Suoi Da Ngon, snorkel and watch the lake on An Thoi archipelago, explore the mysterious Bat Cave, Visit Phu Quoc prison or watch the sunset on Dinh Cau are also the best things to do in Phu Quoc island. 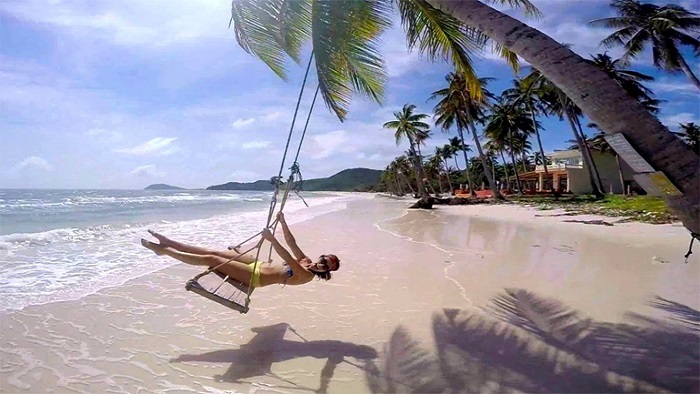 Besides that, a lot of interesting experiences and destinations in Phu Quoc are waiting for you to discover by coming to Phu Quoc tourism that you are on the journey to discover the beautiful pristine island. Few places are full of natural landscapes from forests, sea, streams, waterfalls, mountains, hills and rich flora and fauna ecosystems like this island. Besides wonderful and attractive destinations for traveling, Phu Quoc is also famous for delicious local foods and fresh seafood. Therefore, when you enjoy boat tours in Phu Quoc island‎, you can also enjoy delicious and fresh seafood. You also have the opportunity to enjoy and buy as gifts the famous specialties of this island such as the famous Phu Quoc anchovy fish sauce produced from the barrel of old fish sauce, Phu Quoc pepper with incense. The taste is so strong that nowhere is it possible, the forest Sim wine is especially delicious with the ability to enhance vitality and enhance the health, the unique secret cake with triangular cake. In addition, you can choose pearls in Phu Quoc or sea cucumbers which are a rare high-end food with high value in improving health. Furthermore, you don’t forget to enjoy melaleuca mushrooms which is a typical fungus found only in Phu Quoc. Bali is always known as the paradise for tourists because of a lot of things. Influenced by the equator, the climate in Indonesia is divided into rainy and dry seasons. 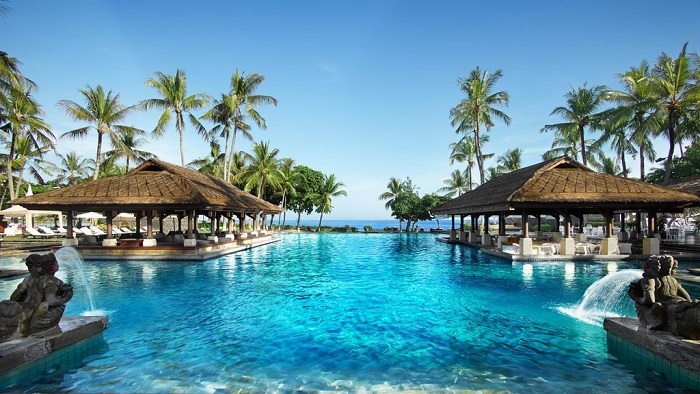 In general, the weather in Bali is hot and humid all year round. Although there are long rainy days in the rainy season, most of the remaining rain lasts only 1 hour. This does not hinder your trip but also helps the atmosphere become cooler. So, you can go to Bali at any time you want. When traveling to Bali, you will have to be surprised by the endless coastline. There are dozens of white sand beaches. In areas like Legian, Seminyak, Kuta and so on possess many beautiful, bustling green beaches and many surfing activities, water sports for you to experience or immerse you in the lane. Especially, after 6 pm the sunset on the sea also makes many people fall in love. It is not only a place of beautiful sea and island, but Bali is also a source of gods with many religious symbols of old Hindus. The culture here is represented by festivals and rituals held regularly by the people every year to show their respect to the gods. It is the hospitable and friendly spirit of the island people, making many tourists join Indonesia tour very satisfied and want to come again. 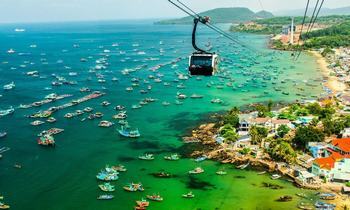 Hope that after the post, tourists will choose one of Bali or Phu Quoc island for their trips. If you need more information for traveling to Vietnam, you don’t forget to visit our website.